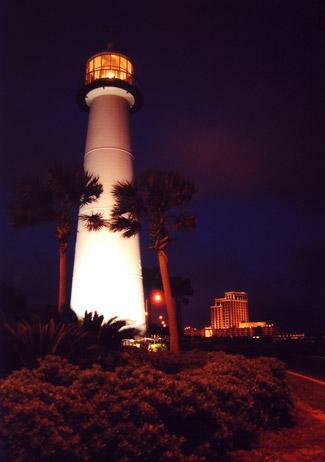 In 1847, Stephen Pleasonton, Fifth Auditor of the Treasury Department, announced, "I intend to put a Cast Iron Light House at Biloxi and this will prove the utility which they may be of." 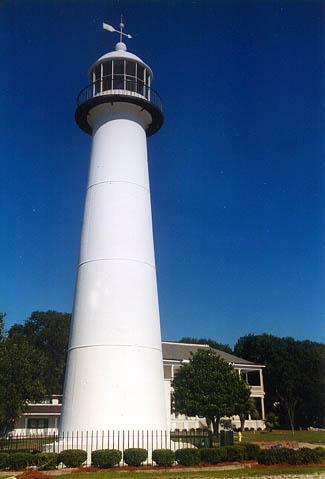 The Biloxi Lighthouse thus became the first cast-iron tower in the South. 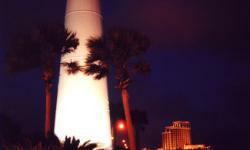 The utility of the tower was certainly proven when in 1998, Hurricane Georges toppled the masonry tower at Round Island, and the Biloxi Lighthouse became the last standing of the more than ten Lighthouses originally built to mark the Mississippi coastline. Like several other iron towers, the Biloxi Lighthouse received a coat of black coal tar shortly after the Civil War to protect it from rust. This color change led to the persistent myth that the tower was painted black to mourn the death of Abraham Lincoln. 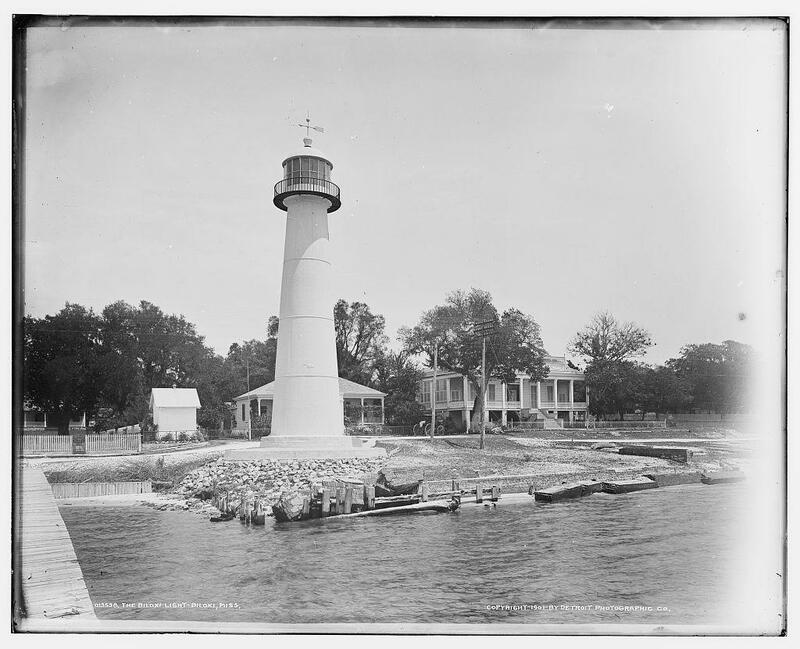 The tower was repainted white in 1869 to make it stand out from the dark backdrop of trees near the Lighthouse. The look of the Biloxi Light Station has changed over time. 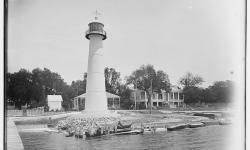 In 1906, the station's cisterns were removed after a link to the municipal waterworks was installed, and Hurricane Camille destroyed the keeper's dwelling in 1969. 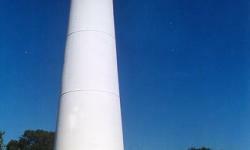 Now, the stout iron tower, owned by the city of Biloxi,United States stands alone in the median of Highway 90. Located on Highway 90's median in Biloxi.